Of our more than 4,000 living alumni, more than half live spread across the globe. The primary goals of a Club are to advance the wellbeing of St. Mark’s School of Texas, to sustain its high standards and to promote a closer relationship and a better understanding between the School and its alumni. The Club will accomplish its stated goals through alumni activity and connectivity, which may include intellectual, social, and business networking. St. Mark’s regularly hosts regional alumni gatherings around the country, including major cities and college towns. To learn more about Regional Clubs and how to get involved, please click here. If you would like to learn more, contact Alex Eshelbrenner '04, Director of Alumni Relations, at (214) 346-8274 or eshelbrennera@smtexas.org. College Ambassadors have the unique opportunity to share their experiences and knowledge with younger Marksmen, and guide them as they begin their college journey. College Ambassadors are also charged with keeping all Marksmen on their campus connected to St. Mark’s and one another. If you are interested in being a College Ambassador at your school, please contact Alex Eshelbrenner '04, Director of Alumni Relations at eshelbrennera@smtexas.org or 214.346.8274. Every year, Class Agents help ensure that the Alumni Association continues to set the gold standard for alumni involvement and reach 50% participation in the St. Mark’s Fund. 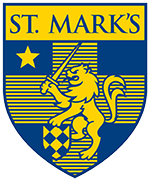 The St. Mark’s Fund is the School’s annual unrestricted fundraising priority. Collectively, individual gifts from the School community make a crucial difference in the day-to-day life on campus. The St. Mark’s Fund makes up 10% of the School’s operating budget, thus providing vital support for programs and activities across the campus. Volunteers are key to the success of the St. Mark’s Fund. The Class Agent will work to maximize participation in the St. Mark’s Fund amongst fellow classmates. If you are interested in getting involved with your class, please contact Christina Jarke, Director of the St. Mark’s Fund, at jarkec@smtexas.org or 214-346-8273.